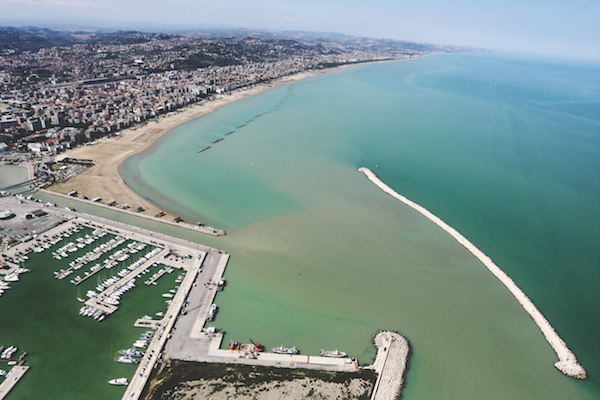 The province of Pescara surrounds the city of the same name and lies in the very centre of the region of Abruzzo, on the Adriatic coast. Though it is the most densely populated province in Abruzzo, thanks mainly to the city of Pescara, the general feel is one of space and peace – not least in the National Park of Majella, in which stands the town of Castiglione a Casauria. This is a part of Italy of remarkable beauty and with cultural riches galore, yet it has never been a major destination for foreign tourists, largely because the region is not very well served by international flight routes. That said, however, many Italians make their way to the coast here in the summertime. 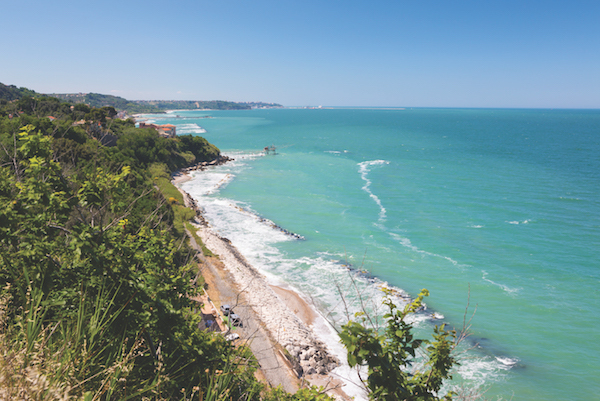 The coastal city of Pescara is most famous today for being the birthplace of Gabriele D’Annunzio, perhaps the greatest Italian writer of the modern era. It is a developed coastal resort with several miles of popular sandy beaches and a range of summertime activities for all the family to enjoy. Città Sant’Angelo lies just a few miles northwest of the city of Pescara in an area famous for the production of Montepulciano d’Abruzzo wine. Its main visitor attractions are the churches of San Michele Arcangelo and Santa Chiara. Southwest of Pescara, a little further away from the city than Città Sant’Angelo, Bolognano is home to the Cantina Zaccagnini, a vineyard that is internationally renowned for its Montepulciano d’Abruzzo. Loreto Aprutino is almost directly west of Pescara, and north of Bolognano. It is worth visiting just to see its fresco of the Judgement, but this small town has much more besides to offer the visitor including examples of the region’s pottery industry and some excellent olive oil. If you venture further southwest from Loreto Aprutino, you will come to Castiglione a Casauria and the remains of the 9th-century Abbey of San Clemente. 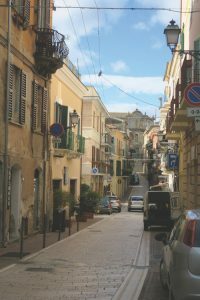 The Victoria stands right in the heart of Pescara, opposite the Ceramics museum. The rooms are quite small, but they are well-equipped; staff are friendly and the breakfast ample. 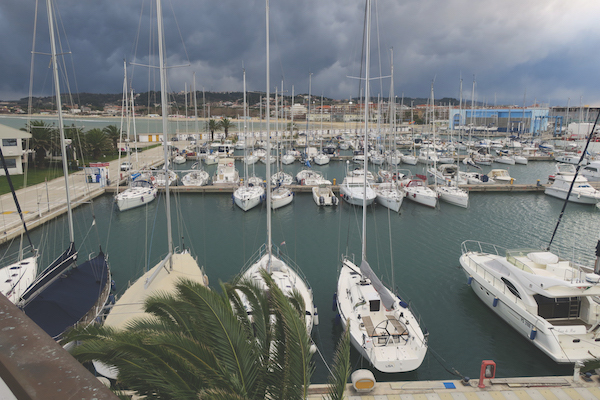 Modern, comfortable hotel that is also well located – easily reachable from the airport, yet also within walking distance to the sea. A modern design – contemporary and vintage all in one – with an informal atmosphere make this a great option for business or pleasure. Located near the railway station and just a 15-minute walk from the sea front. The Agriturismo Casino Re Martello is a spanking new, family-run operation, in a beautifully renovated building dating to the 1600s, surrounded by olive groves. The 19 rooms all have an ensuite facilities. Food is all locally sourced and the beautiful cellar is perfect for weddings. A pool is underway. A renovated historical castle in the heart of Loreto Aprutino. The building itself is stunning, as are the surrounding areas. The rooms are spacious and very comfortable, though surprisingly lacking in character for such a grand building. Far from the madding crowd, this restaurant opened in the 1980s and is fun, quirky and arty. Portions are generous, especially of the antipasto cold cuts and cheese. Gourmet restaurant with 1 Michelin star and an impressive choice of 450 local wines in the cellar. Seafood restaurant where the dish is dependent on the catch of the day and where you’ll dine perched at the end of a peer at the mercy of the weather. Quite a long way from Pescara city but fabulous. Locally sourced, delicious products and wine served in bright airy rooms, and with an intimate knowledge and passion for regional specialities. 1 Michelin star. Located in an innovatively renovated former school complex in a national park at 930 metres above sea level, and run by a cooperative of young people. There is also ample space available for seminars and other experiences. Serves typical arrosticini, a unique Abruzzo speciality. Ryanair flies to Abruzzo International Airport. For more frequent flights, try Rome Fiumicino or Rome Ciampino. It’s a two-and-a-half hour drive across country to Pescara, but it’s a beautiful drive. 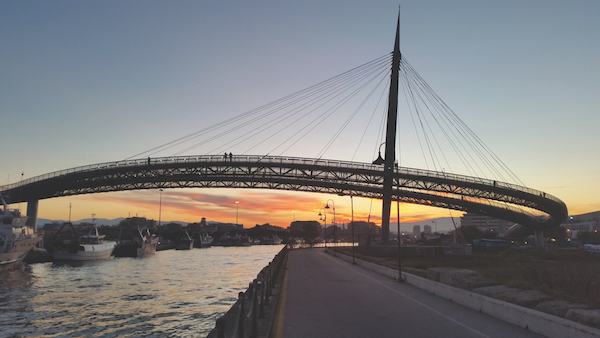 Click here for ten reasons to visit Pescara – loads of great ideas for your Abruzzo adventure!